North York is a golfer’s paradise. Whether you’re looking for a challenging course, a high-end club, or just a nice place to play mini-putt with the kids, Gold Seal’s North York rental apartments are close to nearly a dozen immaculate golf facilities. From laid-back to luxurious, you’re guaranteed to find a golf course for any occasion close to home in North York. Home to Arnold Palmer’s first PGA Tour victory in the 1955 Canadian Open, Weston Golf and Country Club is a fantastic course for a round of golf. The best part is, this A+ country club is located less than 10 minutes from Gold Seal’s Townhomes for rent in North York. 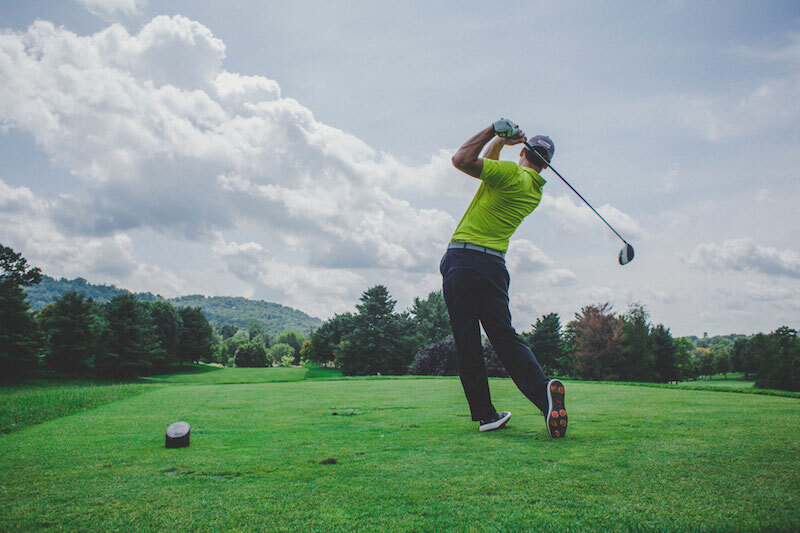 For a truly luxurious private country club experience less than 15 minutes from Gold Seal apartments, this beautiful North York golf course features a fantastic restaurant, friendly staff, and even a swimming pool on site. Oakdale Golf and Country Club is totally worth the membership if you eat, sleep, and play golf. It’s also nice to visit as a guest. With excellent service, and a clubhouse menu featuring dishes like Cobb salad and grilled salmon, you know the golf greens will be just as fantastic. Located only 10 minutes from Gold Seal’s Golden Elm’s Townhome, this challenging 18-hole course is perfectly maintained and a gorgeous way to spend a few hours. You can play nine or 18 holes at this relaxed North York golf course, located 15 minutes from Gold Seal’s apartments for rent. The greens and fairways are well-maintained and the clubhouse is charming. This older and easier course makes for a thoughtful Father’s Day gift. Beautiful but challenging, this North York golf facility features top-notch service, breathtaking greens, and a superb clubhouse. Located just 15 minutes from Gold Seal’s townhomes for rent, you could easily spend the whole day here. Relax and unwind with family and friends at this idyllic golf and tennis club. Located 15 minutes from Gold Seal’s North York apartments, Lambton Golf and Country Club is a member’s only facility promising a luxurious experience every time you visit. In addition to its 27-hole executive length golf course, this North York facility features a driving range, putting green, chipping green and a mini-golf course. Located 15 minutes from Gold Seal’s townhomes for rent, Centennial Park Golf Centre is fun for the whole family. With over 50 years in the rental industry, Gold Seal Property Management is a professional family-run business with numerous rental properties across Toronto. For more information about apartments for rent at Golden Elms Townhomes in North York or any other Gold Seal apartment property, visit goldsealmanagement.com today.